On the face of it, the keynote at WWDC 2014 was a developer’s dream: Extensions, TestFlight, third-party keyboards, a framework for building cloud-based apps, a compelling successor to Objective-C, and more. But what did this avalanche of empowerment mean to developers, and how will it impact the future of Mac and iOS apps? The trappings of this year's WWDC keynote were slightly askew. While iPhones and iPads are typically reserved for fall events, it’s not unusual for Apple to show off some new Macs in June (especially if the name of those Macs include the word “Pro”). Yet hardware wasn’t even mentioned this year—no iWatch, no Apple TV, no decoder rings, nada. Even the Beats acquisition went unmentioned, save for an awkward call between Craig Federighi and Dr. Dre. Also gone were the retail numbers. Apple loves to tell us how many stores they have, how many people shop there, and how much money they make. Sometimes we even get videos about how the stores themselves are made. Not a peep this year. Rather than make us wait, Tim and Craig jumped right into the good stuff, showing off the new features of OS X Yosemite and iOS 8. You can use your Mac as a phone now, making calls and answering SMS so long as your iPhone is nearby. Email attachment-size limits are a thing of the past. Handoff means that apps can allow you to seamlessly transition from working in iOS to working on the Mac. Any one of these things is a welcome addition; together they make for the most impressive undertakings in Apple’s history. We may never know how many people watched the keynote video or how many of them were app developers, but it’s a safe bet that Apple knows. As interesting as any piece of technology announced on Monday, Apple is subtly but intently acknowledging a simple truth: this stuff is pop culture now. 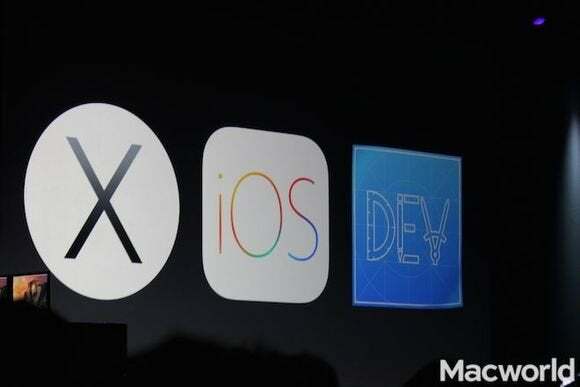 We were shown the future of Mac OS X, the future of iOS, and the future of apps. 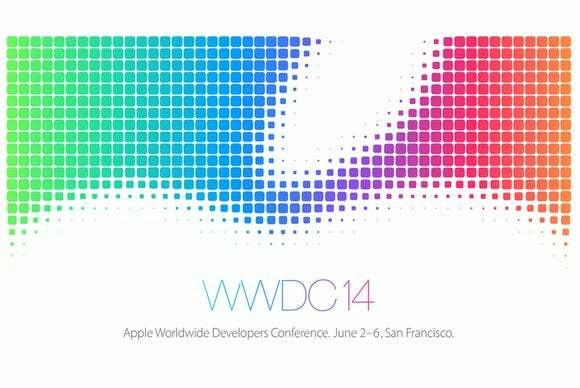 Brace yourselves, developers: the real consumer product being showcased at WWDC 2014 was us. Viewers were treated to a series of new API and framework announcements—the largest number of APIs mentioned at a keynote, and each of them more impressive than the last. CloudKit, HealthBook, TestFlight, Swift, extensions, widgets: It’s enough to make a developer weep. But these weren’t just presented as engineer candy. These were frameworks as features. Apple knows that the tools developers use to make apps directly impact the quality of the apps. This year, the tools were showcased as if to impress not only app makers, but also the people watching at home. It’s perhaps too comfortable to think of developer tools the same way we think of a mechanic’s tools: functionally impressive, but esoteric. The reality is that our industry has matured in an unexpected way, and the people who use our products are passionate about them. Apps are a hit. And TestFlight, for example, is a way of bringing more non-devs in on the software-making process; it's a behind-the-scenes look. One starts to think of software less as the product of a machine and more as a creative endeavor. This year, Apple has provided developers with a series of things we get to do, rather than things we need to do. Unlike last year’s iOS 7 visual refresh, which brought with it the need to rethink an existing set of problems, Yosemite and iOS 8 offer a gateway to digitally authentic sophistication. For example: from the earliest days of iOS, one of the biggest differences between desktop and mobile was the obfuscation of the filesystem. Originally this was to keep things conceptually simple and move past the dated metaphors of software past. In iOS 8, files make a return. Not to confuse or complicate, but to empower. Apple stripped down the experience to bare metal and is building back up fast.